Destiny’s Odyssey is the philosophy of consciously planning our life’s journey in order to reach our fullest potential and achieve our own sense of personal fulfillment. However, it is not just about achieving our goals and reaching our desired destination in life, but also about enjoying our journey along the way. It is about finding out what truly makes us happy and living a life that balances accomplishments, richness, and contentment. So ultimately, in the end, we will not just measure the length of our lives by what we achieved along the way, but measure the depths of our lives by what we experienced and how we impacted the lives of others. The best place to begin is to review our Destiny’s Map. Destiny’s Map is an outline designed to take you through a series of steps so that you can discover who you are, what you want to achieve in life, and who you want to become. The outline begins with self-discovery and self-awareness. In this section, you complete a series of workshops that allows you to discover your personal interests, attributes, values, talents, and dreams. After the self-discovery segment, you create a mission statement and a vision statement to help guide you in the direction you wish to travel. After which, you create a strategic development / personal development plan in which you set personal goals and create habits so that you can systemically and effectively reach the goals you set. Essentially, you “map” out your plan for personal growth and development. By following Destiny’s Map, you choose what talents and abilities you what to strengthen and develop. You also chose the things you enjoy and what makes you happy then focus on those key pieces of your life. What is Core Dimension Dynamics? Simply put, it is the philosophy and process of continuously developing all four personal core dimensions in an effort to live a complete and balanced life. 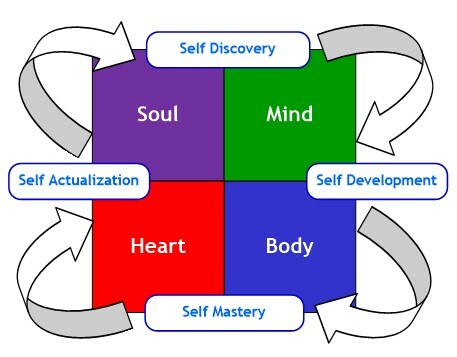 As individuals, in order to optimize our personal growth and effectiveness, we must continuously develop ourselves. Core Dimension Dynamics is a philosophy, principle, and process that empower us to grow and develop ourselves and our lives through continuous improvement. We must consciously spend time and energy honing ourselves and our skills in order to maintain and increase our effectiveness. 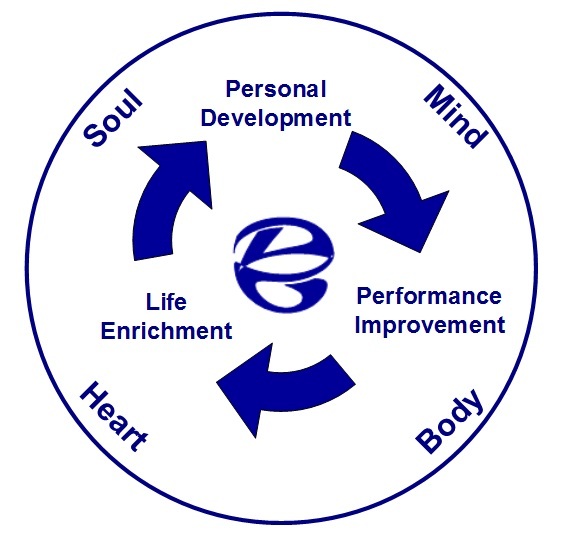 Core Dimension Dynamics incorporates all four facets of self; mind, body, heart and soul. The basic premise of Core Dimensions Dynamics is about finding meaningful activities to engage in for the purpose of enriching our life. It may be through strengthening our body, expanding our knowledge, understanding ourselves, or simply helping and connecting with others.